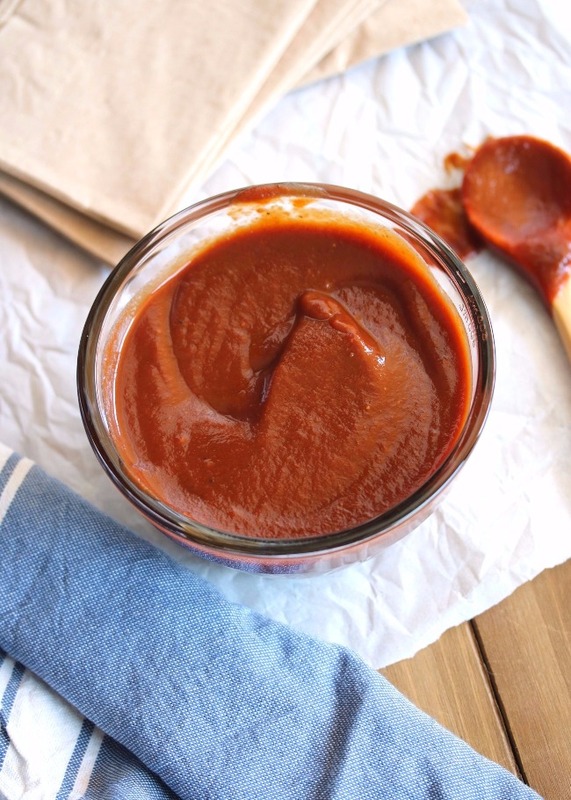 The ultimate Whole30 compliant BBQ sauce that's made from scratch super quick & easy in the blender, then simmered to finger lickin' perfection. Slather it on chops or ribs, spread a layer on your grass-fed burgers, or use it as a dip for potato wedges. I often set out to create a recipe that's a Whole30 compliant or "Paleo-fied" version of the real deal that I love. For example: chocolate chip cookies. I know that a squeaky clean Paleo version is not going to be the same as a break-apart Nestle cookie dough I could buy at the store (and love). But knowing exactly which ingredients are going into my cookies, and being able to create a healthy version that I don't have to feel guilty about? It's worth the trade off. And while I love those kinds of recipes that basically "dupe" my non-healthy favs... the ultimate satisfaction comes when the healthy version turns out better than the original. Now you're probably thinking: "Paleo cookies better than the real deal? Probably not gonna happen..." And you're most likely right. But when it comes to savory dishes & sauces- healthy can so often turn out even better than the usual. 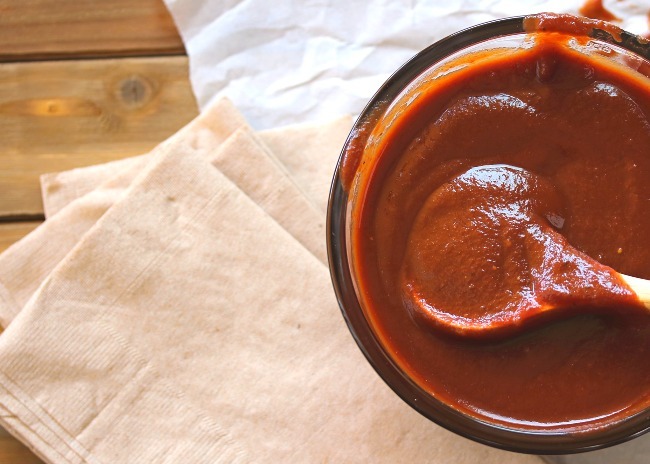 I'm not always a huge sauce/dressing fan- but I know what I like when it comes to my BBQ sauce, because it's one condiment that I love. My favorite? Slightly sweet, a little underlying heat, and a little smokey. Not too thin & runny, but not thick and tomato-paste-ish either. I want it to be that in between texture that can be spread over chicken or ribs with a brush, but also perfect for dipping some potato wedges or slathering on a burger. So after quite a few half-hearted attempts at making my own sauce, and then a day spent obsessing & perfecting those old scribbled down recipes... IT'S HERE. 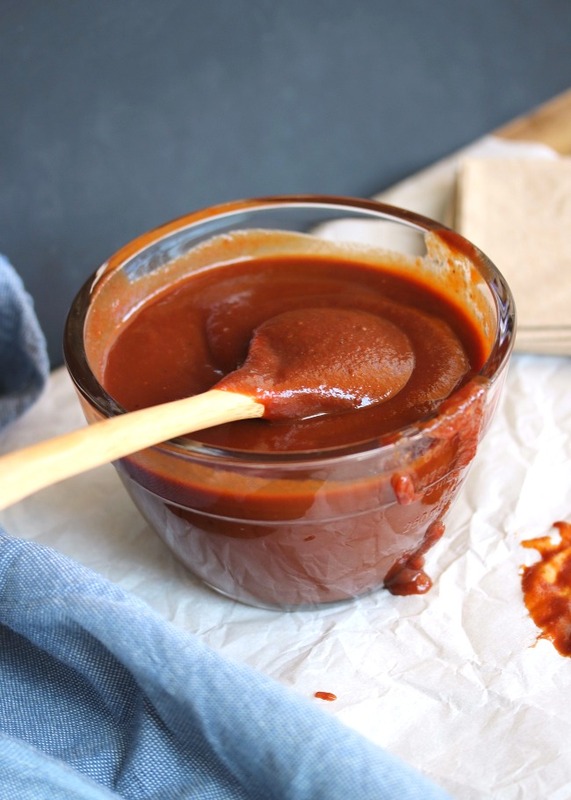 A Whole30 compliant BBQ sauce with that perfect sweet heat, a pinch of acidity, and a touch of smokey flavor that literally beats any store bought sauce I've tried. It's sweetened with a few dates & a little orange juice, and has all the flavor you'll ever need. Place all of the ingredients in a blender and pulse until smooth. Pour the sauce into a medium saucepan, and bring to a soft boil. Reduce to a simmer, and cook uncovered for 10 to 15 minutes to allow the sauce to reduce and the flavors to combine. Allow the sauce to cool, then store refrigerated in an airtight container. If you are not making this on a Whole30 and don't have dates on hand, substitute 1/4 cup of maple syrup or coconut sugar. This should store well in the fridge for about 1 week. This BBQ sauce is EVERYTHING!!! Thank you for such a wonderful recipe! 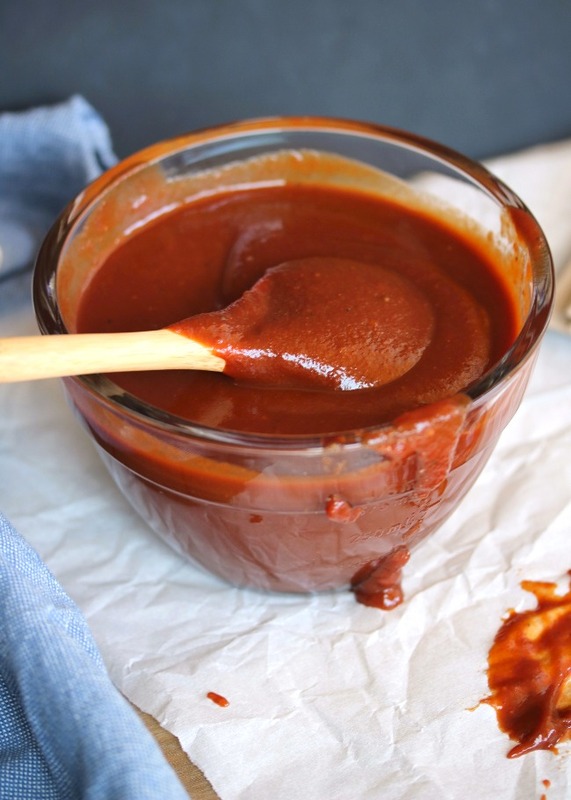 Making your Slow Baked Ribs for dinner and I cannot wait to eat them with this perfect sauce! I could just drink the sauce! It's the best BBQ sauce I've ever had! It really needs to go into the Whole30 book! Thank you! 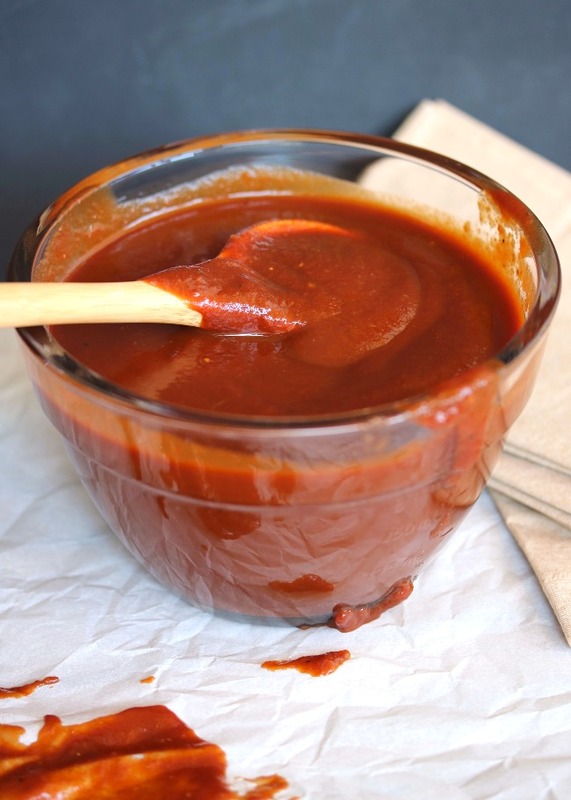 Perfect BBQ sauce for Whole30...loved it! If you're doing Whole 30, just make sure the dijon is made without wine. This sauce is so good I’m considering making jars of it for Xmas gifts!